Daily Mirror - Economic lethargy: Rajapaksa will be sorely missed! 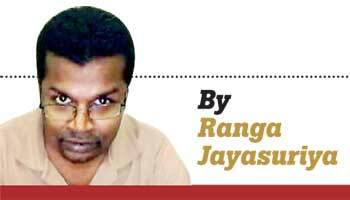 Economic lethargy: Rajapaksa will be sorely missed! A few years back under the former regime, it was not a nice spectacle when slum dwellers in Colombo were evicted by gun-toting soldiers to make room for development activities. Decent people were right to feel outraged. However, many of those folks might not have noticed it yet. But, this government’s manifest indecisiveness in economic development is becoming far more disastrous than its predecessor’s highhandedness. Running a country is not about having big ideas. It is about implementing at least some of them. One can smell vacillation in implementation of development policyalmost everywhere in the country. Most large scale development projects are held up,annual economic growth is below 5 per cent for a third consecutive year, a balance of payment crisis is looming and Sri Lanka is reportedly going to miss the repayment of loan instalments on the Hambantota Port. Each of the large scale development projects (or seemingly normal sized projects) is either getting delayed or has been proved a hoax. The inauguration of an export processing zone in Hambantota turned into a mini-riot, and generated a load of bad publicity, the last thing the country needs as it is vying for foreign direct investment. The government says the mayhem happened because of misinformation. It could have known what was in store when the surveyors who were sent to demarcate the land were chased away by villagers. The government could have planned accordingly; instead it went ahead of the inauguration to seek cheap political publicity and created a right royal mess. And a related agreement to lease 80 per cent of the Hambantota Port to China Merchant Port Holdings and another 15000 acres for the export zone to the same company is now stuck in a legal wrangling. The Joint Opposition has filed a FR petition challenging the framework agreement. The Chinese are holding up the deal until the court decides and have insisted it’s either both the port and the land (for the economic zone) or no deal. Which in a way is understandable, as the increasingly outspoken Chinese ambassador in Colombo( who could well be personifying mercantilism in the Chinese economic expansion) says, ‘without an export zone, what are we going to export’. "No country is altruistic, but since our much-hyped and anticipated FDI inflow from the West and America did not materialize China, the world’s largest trading nation, could offer us a ladder up in manufacturing"
No country is altruistic, but since our much-hyped and anticipated FDI inflow from the West and America did not materialize (and will not materialize), China, the world’s largest trading nation, could offer us a ladder up in manufacturing. The projects such as the Hambantota Economic Zone offer a huge economic potential to that end. Sri Lanka cannot find a replacement for the economical imputs on the scale and technological sophistication that the Chinese would bring in. Letting that opportunity to be squandered simply due to inflated grievances of subsistence farmers and cattle herders is a crime committed on 20 million people in this country. That is where, though to admit it may sound politically incorrect, Mr. Rajapaksa’s method of social control has its logic. Then there is SAITM. The Court of Appeal has ordered that its medical students be granted provisional registration by the Sri Lanka Medical Council. Instead of upholding the court verdict, the government is vacillating, while university students of the Inter University Students’ Federation, driven by an agenda of the fringe hard left and an antiquated world view are invading roads in Colombo every other day. The courts are the last resort of civilized means of dispute resolution. It is when the courts are weakened and made ineffectual by the government or by those who choose to intimidate a legitimate government, that other brutal extra judicial means of defending the status quo, as we witnessed in the 80s and the first decade of this century, gradually find their practical logic. Rather than mollycoddling the detractors, the government should enforce the rule of law. However, the government’s losing control is not just a function of a feisty opposition. There is an emerging credibility deficit in the government. The proposed lease of 80 per cent of the Hambantota port to the China Port Merchants overlooking a rival bidder who offered what appeared to be a better deal itself is a suspect, which may explain why the agreement is now challenged before the court. A much hyped Volkswagen plant became an embarrassment. 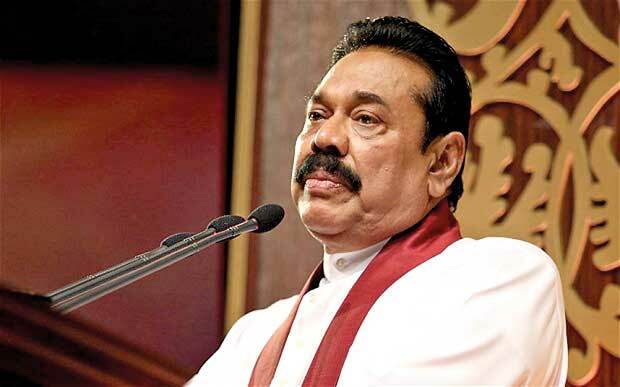 A multi-million dollar tyre factory by a Rajapaksa confidante has now run into trouble and land clearing for construction has been suspended on the orders of the President, who like many others has smelled a rat. The problem is that most of those multi-billion-rupee agreements, which entail many billions of tax concessions have been negotiated in secrecy, with the President and the Cabinet oblivious to their content. The UNP’s age old reputation for crony capitalism does not reassure the skeptics. Also some of those who handle country’s coffers are not paragons of virtues. That may explain the president’s belated decision to head an apex committee that would scrutinize key economic and development agreements before they are being entered into. "This government dismantled Mr Rajapaksa’s structure, but could not come up with a functioning replacement. Nor does it appear to have the political will to go the extra mile to do that"
So the government’s dilemma is primarily two fold. First, its ability to implement its development policy has been severely constrained by the inherent social, cultural and petty political defects that plague our society. To give the man his due, Mr Rajapaksa made use of an effective multi-dimensional strategy -- which involved both coaxing through compensation at market value, coercion through the use of legitimate law enforcement and subjugation through not so legitimate other means- to navigate this often anti-developmental social structure. This government dismantled Mr Rajapaksa’s structure, but could not come up with a functioning replacement. Nor does it appear to have the political will to go the extra mile to do that. Second, people are increasingly coming to believe that it is corrupt and incompetent. Corruption in this country, or anywhere else in the world, is not just about reality, but, also about perception. Even where the government is innocent or it thinks so, the lack of transparency would not help. One may hope that the government would probably get over from its corruption problem (or perception). However, if its current state of affairs is any proof, it is a long way from addressing its other core problem which would make it a byword for developmental incompetency.Irony of this is people could well feel a nostalgia for the Rajapaksa era.